Nearly half of all Americans are affected. Veins are blood vessels that transport blood from the body and back into the heart. As such, the blood moves against gravity, so when a vein becomes weakened, the blood begins to move backward. Called “reflux,” this is a type of venous insufficiency in which the valves have become compromised and can result in a condition known as varicose veins. The varicose veins that appear close to the surface of the skin become elongated and have a “ropey” and bulging appearance. Not unlike a small snake under the surface of the skin, these veins, often blue or purple in color, can be quite painful. They can also cause leg fatigue and heaviness, which will increase as the day progresses. Nearly half of all Americans suffer from some form of varicose veins or venous insufficiency, making them very common. Women are more likely to suffer from these conditions than men. In fact, one of the most common factors that increases the likelihood of varicose veins is pregnancy, especially multiple pregnancies. Be sure to discuss all of these options with your physician before deciding which one is right for you and your condition. 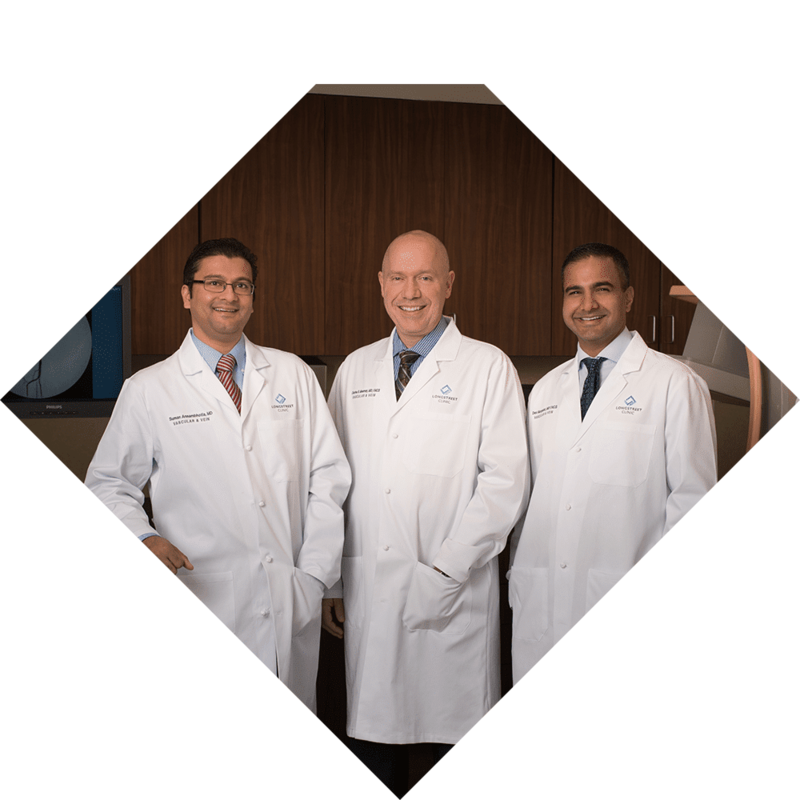 With comprehensive diagnostic testing and an onsite vascular lab, our physicians are able to better understand the causes of your vein issues to ensure proper treatment and prevention of future problems.